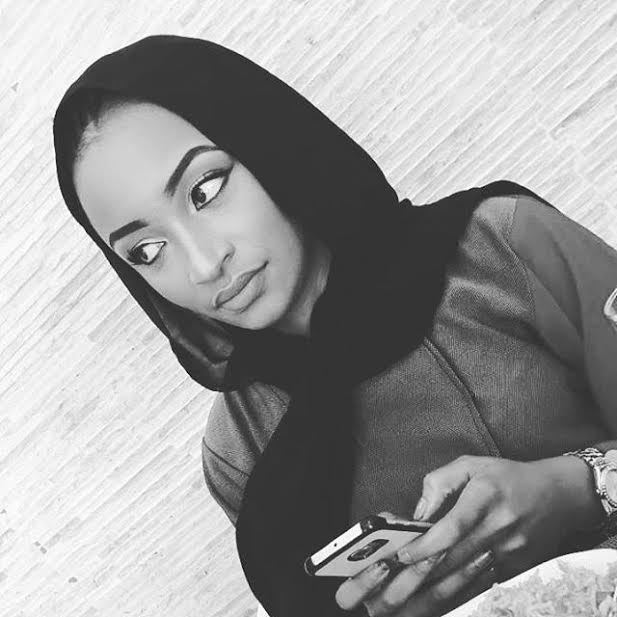 Top Kannywood actress, Rahama Sadau has been expelled from the Hausa film industry by the Motion Pictures Practitioners Association of Nigeria. Sadau was expelled for featuring in a romantic musical video by Jos born musician, ClassiQ. 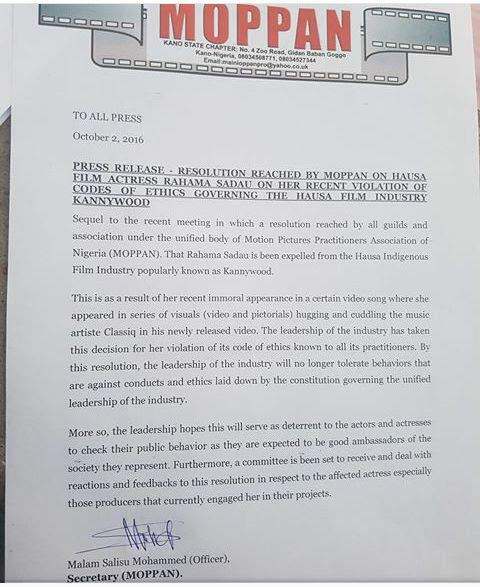 The statement dated October 2 and signed by the Secretary of the association, Salisu Mohammed, also warned other actors and actresses to henceforth follow the rules binding their participation in the Kannywood film industry.